So what is a Custom Tune? Well it is NOT a preloaded tune that will find on your SCT X4 programmer when it shows up at your doors step. Our Custom Tuning @ RDP Store is the closest you can get without having your car on a dyno. With our years of GM tuning experience we can tune your car remotely (via email) based on the modifications you have, the type of fuel you are running, the area you live, type of driving style you have and much more. Below is a over view of the System. View & record your vehicles PCM data on the LCD screen or on your laptop. The X4 Flash device backs up your factory PCM program during installation should you ever need to return your vehicle to the stock program. Restoring your vehicle to the stock PCM program is as easy as selecting "Return to Stock" from the device menu. With all SCT devices, once returned to stock, there is no footprint or trace of the tune in the vehicle's PCM. Supports and holds custom tunes. 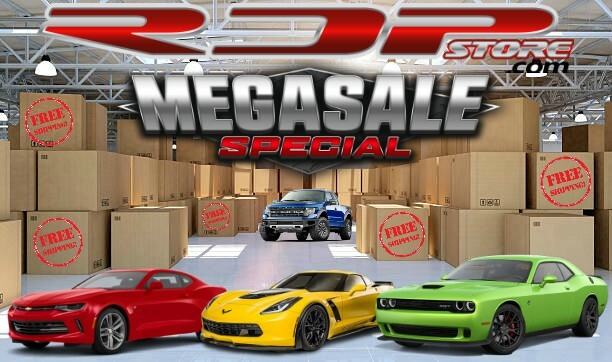 RDP Store is Proud to Offer a Complete Range of Performance Parts and Accessories to the Forum Members Here at Special Forum Member Pricing with Heavy Discounts, Our pricing structure saves you the forum member alot of $$$ and there is no waiting for items to ship, we also ship for Free to the Lower 48 States and Cost price shipping any where else in the World. We make sure at any time you know where your order is and supply tracking information and Email and Phone Support for any questions that you may have. We Not only Offer Special Pricing on Performance Parts and Accessories but we also Offer a Remote Tuning Option as well to dial in all your New found Power and Performance whilst making the vehicle alot more fun to drive and under normal driving conditions help improve your economy as well. Real Deals for Proven Performance Items that we install and dyno tune on a Daily Basis and NOT just do Internet Parts Sales with my True World Knowledge and Tech Support. Pm us with any questions for your Application and for a Forum Members Discount. Thankyou for all the Orders Everyone one we Greatly Appreciate your Business. Get Ready for Spring with Summer Savings on Everything you Need. No Better Time than the Present to Save on those items that you have been wanting to get and be ready for Spring.